Take a break from cancer for a morning full of laughter, hope, and connection. 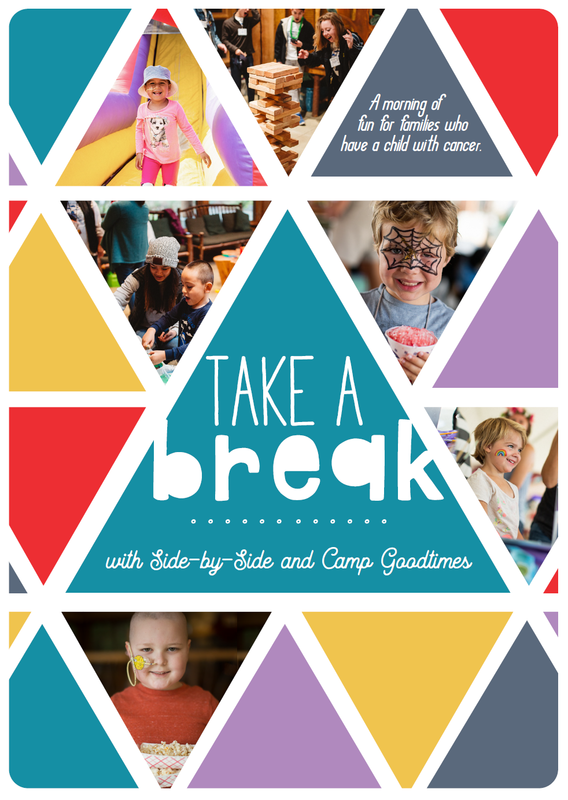 The Goodtimes Project is partnering with Camp Side-by-Side, another local pediatric oncology camp, to offer a program for parents and children to take a break from their hectic cancer life, and get connected. Who: Families who have a child on active treatment, or within one year of completion of treatment for a cancer diagnosis. Bring the whole family! Parents/caregivers, siblings, and cancer patients are all invited. Skilled pediatric oncology care providers will be on-site. Carnival games, inflatables, and crafts, alongside trained and screened Camp volunteers and staff, plus nursery care and a special preschool play area. A simple, kid-friendly lunch will be provided. *If your child has special dietary needs, please feel free to bring a sack lunch. Enjoy a delicious catered brunch and time to connect with other parents in a safe and comfortable space, guided by trusted, experienced, and good-humored facilitators.